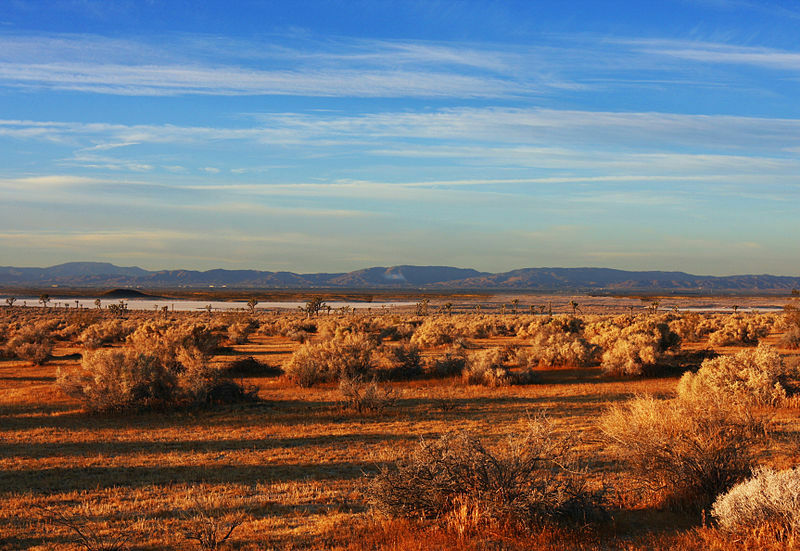 What Does The Future Hold For Our Arid And Semi-Arid Ecosystems? "Mojave Desert National Preserve" by Rennett Stowe via Wikimedia Commons is licensed under the Creative Commons Attribution 2.0 Generic license. These findings are described in the article entitled Elevated [CO2] changes soil organic matter composition and substrate diversity in an arid ecosystem, recently published in the journal Geoderma (Geoderma 330 (2018) 1-8). This work was conducted by Malak M. Tfaily and Nancy J. Hess from the Environmental Molecular Sciences Laboratory, Akihiro Koyama from Algoma University and Washington State University, and R.D. Evans from Washington State University. Arid (dry) and semi-arid ecosystems occupy more than 30% of the Earth’s surface and are predicted to be among the most responsive ecosystems to climate change. There is considerable uncertainty on how these systems will respond to elevated CO2 and global warming. Understanding how arid ecosystems will respond to elated CO2 will help improve our understanding of climate-ecosystem interactions and, hence, improve our mitigation practices. Increased CO2 concentrations above ground can have direct and indirect effects on arid ecosystems. For example, enhanced CO2 could enhance photosynthesis rates and plant productivity. Increased plant productivity can then affect the quality and quantity of organic compounds in the soil. Increased carbon (C) input belowground could either prime further decomposition of soil organic matter (SOM) thus releasing back CO2 to the atmosphere or on the contrary could stabilize SOM preventing further C losses into the atmosphere. Our study aims to examine the cumulative effects of 10 years of elevated [CO2] on SOM molecular composition in an intact Mojave Desert ecosystem at the Nevada Desert Free-Air Carbon Dioxide Enrichment (FACE) Facility (NDFF). Our study speciﬁcally addresses the potential mechanisms by which elevated [CO2] impacts SOM composition, substrate diversity and potential microbial activity via changes in organic matter chemical composition and diversity (commonly referred to as organic matter “quality”) in an arid ecosystem. Water-limited ecosystems in arid and semi-arid regions are particularly impacted by enhanced CO2 concentrations, however in a good way. As long as the system continues to be water limited, enhanced CO2 did indeed increase C sequestration belowground suggesting that arid ecosystems are a potential large C sink under elevated [CO2]. These results provide direct evidence that CO2 fertilization substantially increases ecosystem C storage and that arid ecosystems are significant, previously unrecognized, sinks for atmospheric CO2 that must be accounted for in efforts to constrain terrestrial and global C cycles. Our study suggests that arid ecosystems might present a unique opportunity to study soil organic matter accumulation where microbial necromass represent a significant component of its composition. Under this scenario of climate change (i.e., increased CO2 concentrations with no changes in water availability, arid ecosystems might represent a potential large C sink under elevated [CO2]. Our results suggest that arid ecosystems are a potential large C sink under elevated [CO2], given arid ecosystems constitute 47% of the terrestrial land surface, and that labile compounds are transformed to stable SOM via microbial processes. Arid systems are limited by water, and thus may have a different C storage potential under changing climates than other ecosystems that are limited by nitrogen or phosphorus. So far arid and semi-arid ecosystems have been the subject of few studies that place their importance in a global context and in terms of their role in society and how will they change with climate change. Our findings indicate that semiarid regions and their ecosystems merit increased attention as a key ecosystem that can sequester C from the atmosphere. Multiple lines of evidence suggest significant C accumulation belowground with elevated CO2, confirming a potential substantial negative global feedback to atmospheric CO2 and climate. Dr. Tfaily is an ecosystem scientist whose research aims to improve the understanding of carbon cycling in terrestrial and aquatic systems, the microbial-organic matter interactions that underlie it, and the controls upon it in dynamically changing systems. She uses a combination of modern and unique analytical molecular, geochemical and isotopic techniques to answer how, where and when organic matter formation and degradation takes place in different ecosystems. Her research training focused on dissolved organic matter characterization during her PhD, soil organic matter characterization during her postdoctoral research, and recently she has advanced to the systems-level integration of detailed organic matter characterization with insights from molecular microbial ecology and plant biology, with the direct goal of distilling the findings of these syntheses for improved predictive modeling of ecosystem and global change.